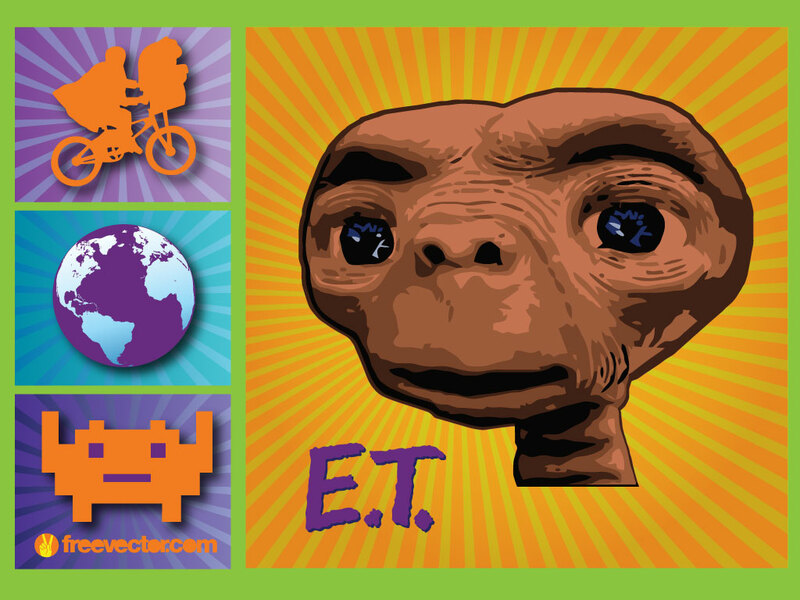 This cool clip art pack features elements from the movie E.T. as well as a Space Invader. A fun graphic pack for your eighties themed designs or wallpapers. Download as AI and PDF.